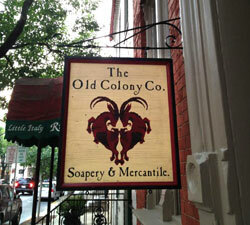 Visit Our New Store in Downtown Frederick! Soleseife - or seaman’s brine water soap - is a traditional German soap recipe that dissolves sea salt and water. Our unique take on this popular European spa soap is to create the brine using milk rather than water, deeply cleansing and moisturizing your skin leaving it silky smooth. Soap production at our Middletown facility is bursting at the seams. 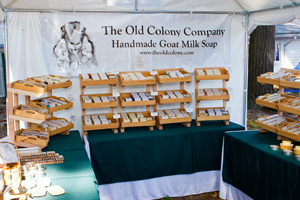 To better accommodate local and national demand for our handmade goat milk soaps and natural skin care products, we have closed our downtown Frederick store as of May 24, 2015 so we can devote our efforts to soap production and online retail. Everything has a backstory or source of inspiration. 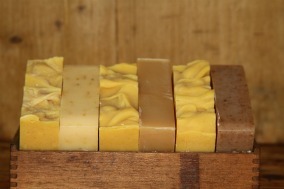 Soaps are no exception. The most notable backstory belongs to our dog shampoo bar - Mrs. Pretty's Pretty Bar. This is the story of how our Aussie inspires us to create the best all-natural soap for our canine friends and yours. Do you believe in the Great Pumpkin? No? Let us convince you. Read about this great American symbol of the autumn harvest and holidays, and how we are showing our appreciation through this years line of pumpkin themed products. The Old Colony Company is delighted to be featuring exclusive works from Art of Fire Contemporary Glass Studio in our downtown Frederick and online stores. Learn about these talented local artists and how we are working with them to bring you unique contemporary, handblown glass candles and objets d'art. 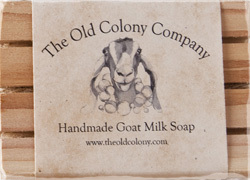 Our new Wild Carrot and Tomato goat milk soaps smell great and are therapeutic too! 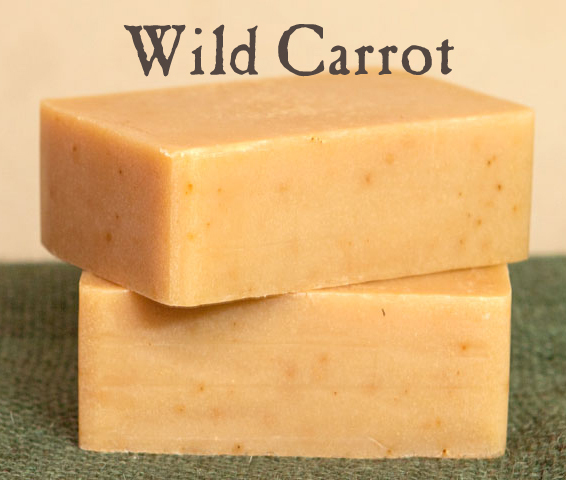 We designed these handcrafted soaps to improve complexion for specific skin types: Wild Carrot for mature, aging skin, and Tomato for oily and acne-prone skin. On August 11th, we quietly opened the doors to our new retail store in downtown Frederick at 113 East Patrick Street [Map It]. We are thrilled to be part of the vibrant downtown community, and look forward to bringing Frederick our handcrafted bath and body products as well was home goods from local and regional artists. 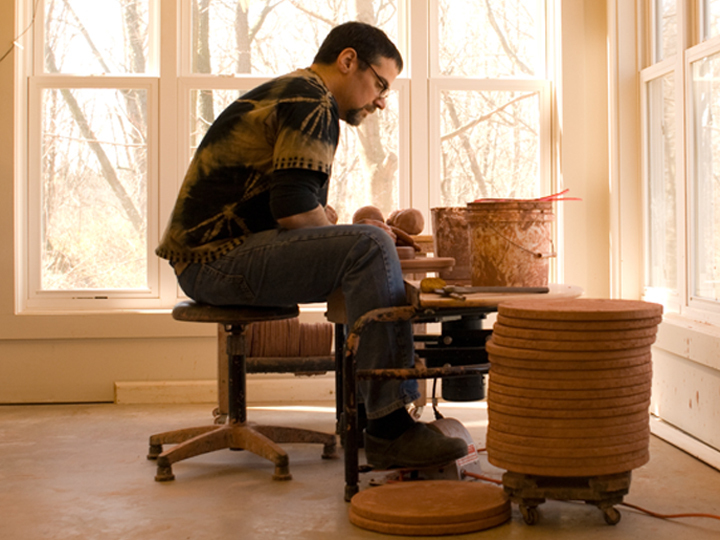 The Old Colony Company is delighted to offer exclusive work of Hagerstown, Maryland area artist, Michael McIntyre of Fire Robin Farm Pottery. We are delighted to announce the opening of our first retail store in historic downtown Frederick, Maryland in August 2012! 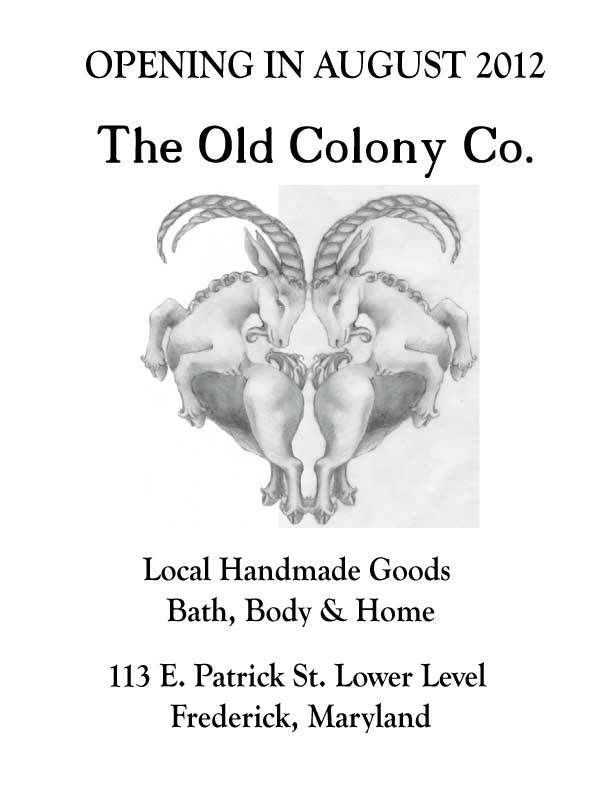 The store will be located at 113 East Patrick Street, and will feature an expanding line of goat milk bath products, felted soaps, goat milk body lotions, and men's grooming supplies. 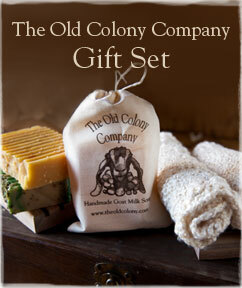 We will also be introducing Old Colony Home, a line of exclusive home goods created by local and regional artists. Despite the urge to soak up the January sunshine, we kept ourselves very busy over the balmy Maryland winter. 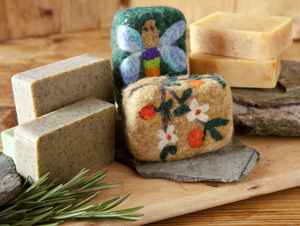 We are very excited to bring two brand new product lines this spring to our online store: artisan felted goat milk soap and eco-friendly bath accessories. We are also delighted to offer several new goat milk soap scents that are as inspired by folklore and historical traditions as by springs blooms and blossoms. Come visit our booth at the Maryland Home & Garden Show, March 3-4 and 9-11 at the State Fairgrounds in Timonium. Find out how to win free VIP ticktes and learn about new, handmade products we will be premiering at the show. On Christmas Eve 2010, my friend Jan introduced me to the ancient art of felting. 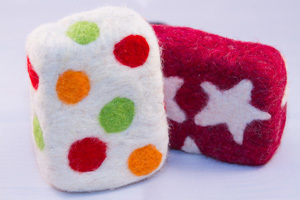 That afternoon craft project turned into full-blow obsession, resulting in Woolly Bullies, our new line of felted goat milk soaps. 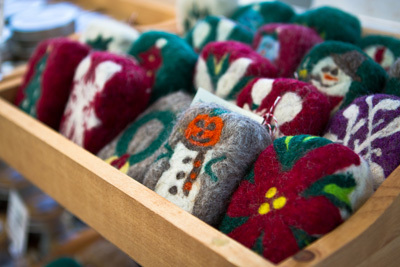 We began offering Woolly Bullies at art and craft shows last fall. The response from our customers has been overwhelming. After many requests, we are pleased to announce their availability in our online store. Our partnerships with local artists and craft persons are the start of realizing our vision. We work with these artists to design unique and affordable everyday products for the bath and home. In keeping with our “source local” approach to doing business, we work with artists and craftpersons in our own community and across the nation. Have you put off holiday shopping? Are you fretting over what to buy the person who has everything? We've created a list of gift suggestions to help you quickly and easily decide on a unique, personal gift for every type of person on your holiday shopping list. This season we have designed four personalized bath & body gift sets and seasonal goat milk soaps to help solve your toughest gift giving dilemmas. All gift sets can be customized for men and women, and include our handmade goat milk soaps and accessories created for us by talented artists and craftpersons. Hello Everyone! I hope you all have been having a happy holiday season so far. It has been a while since I’ve posted an update to the blog. We have been very fortunate this year and very busy too! In honor of the Thanksgiving holiday and our fall festival schedule coming to a close, I want to take this opportunity on to thank everyone you helped make The Old Colony Company a success during its first year in business. Thanks to all our customers and festival goers who stopped by our booth at the National Apple Harvest Festival over the past two weekends. We had an amazing time meeting with you and sharing our newest products. We put our heart and soul into everything we make, and are grateful for your purchases and feedback. After two very busy weeks, we were exhausted Sunday evening, but we felt inspired and more deeply committed than ever to bringing you the finest handcrafted, locally sourced soaps and sundries. Fall Festival Schedule - Come Visit Us! 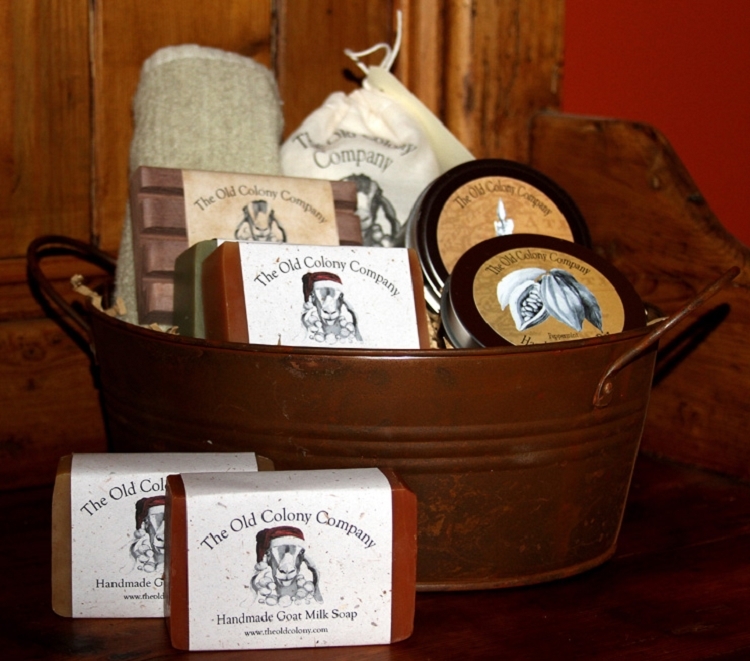 The Old Colony Company is hitting the road on our fall festival tour. Come visit us and check out our new soaps, gift sets and other products at the following locations. 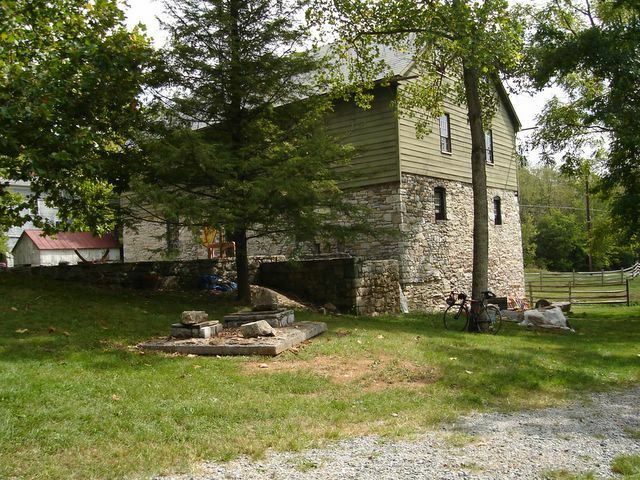 We came for the armoire and stayed for the grist mill. Saturday morning on a quest for a new armoire, an unexpected diversion landed us in an 18th century grist mill. Whoever says grinding your own organic blue corn flour isn’t fun has never been to the Burwell-Morgan Mill in Millwood, Virginia. Find out how The Old Colony Company supports local communities by sourcing its ingredients and products from local artists, craftpersons and small, independent businesses. Our "source local" approach to doing business is a practical, economically viable, and socially responsible way of bringing our customers quality, uniquely American products at a fair price. We approach soap making with the same “One Helluva Job” enthusiasm. We are always playing, experimenting, and trying new ways of making the best products possible. Nature’s great couplings – combinations of unique botanical scents that create something better than its parts, inspired our newest products. Thanks to all new and loyal customers who visited our booth Friday and Saturday, June 17-18 at Central Maryland’s Swinetastic BBQ Festival! This was our first major outing since starting The Old Colony Company last fall. We had a great time meeting new friends, talking soap, meeting with other vendors, and, of course, eating the best BBQ on the planet. The Old Colony Company was a proud silver level sponsor for the event, the proceeds from which benefited the American Cancer Society.